I’m all for hidden gems. Little coffee shops, bookshops in tiny, colourful alleys, a secret beach with emerald waters or a local family bakery that leads you there just by the smell of fresh baked bread. They all have this one thing in common: Few people know about them because it’s hard to get there. And to get there, we often assume we need a map. A map with a well-thought route. To get there, we often think there is only one way, otherwise it’s easy to get lost. You see the problem here, don’t you? Every time I found a hidden gem - a bookshop, a beach, a coffee shop in a small πλατεία far from crowds and noise - it wasn’t because I followed the same route. It was because I was led there by curiosity, excitement and a sense of adventure. No mistake, hidden gems want to be found this way and they will compensate you with a satisfying sense of accomplishment. Let’s take this analogy to language learning - because, why not? You say to yourself: “I want to speak Greek! How I wish there was a person sitting next to me right now, so I could practice. How I wish I were at a Greek café happily chatting. It’s just so bad I can’t practice what I learn, because I don’t have anyone to talk to”. Okay I might have added a little Greek drama here. While I’m sure you’d love to be at a Greek café right now and while I’m sure you do want someone to talk to in Greek, things don’t look so grim. It’s true we often think there’s only one way to practice speaking and that is: talking with a native speaker. Just like the person who stubbornly persists on the one and only way to get to the hidden gem/tiny bookshop/secret beach (and spoils all the fun), we convince ourselves that there’s no other way around it: in order to improve our speaking, we must speak with a Greek. But it makes me a bit sad thinking that all other skills in language are gifted with creative ways of practicing them - but not poor speaking. Which is, usually, the skill most of us want to practice and use as soon as possible. We can write on our textbook or even journal in Greek whenever we want, read an article in Greek if we feel like it, pick a song we like or watch a TV show ...but how can we speak daily? So, we’re left with fill in the blank activities, yes or no answers, reading and writing texts and an overall disorientation, which leads us far from our destination (the hidden gem of speaking). What if we could do things a bit differently? What if we could take another, not so obvious way and be a bit brave and adventurous about it? What if we could actually say out loud those new expressions we’ve learned, the new vocabulary we studied, the couple of new phrases we’ve noted down? What if we could imitate speaking to someone? A few years ago I was introduced to this idea for practicing speaking: Recordings. You basically record yourself speaking the language. Recordings are great. They can make an amazing speaking practice. But only if done right. I challenge you today to record yourself speaking Greek after you read this article. But let me share first a few things I’ve learned along the way. They’ll help you stay focused and keep this activity simple. As with all our learning, consistency is key. Recordings are no exception and we need to use them a few times to include them in our way of studying. We’ll find that it gets easier as we go and that at the end of the month or the trimester we have a solid amount of recordings, a proof of our progress and learning. Now, don’t think I’m talking about a rigid schedule here. I’m by no means a strict schedule person when it comes to enjoying a language (some people might enjoy the strict study schedule, I don’t). Just remember to record yourself a few times to get used to it and then it will organically become part of your learning. By staying consistent you’ll have the advantage of actually monitoring your progress. With monitoring in mind, recordings can boost our self-confidence. I bet you’ll find it miraculous how on recording no1 you stumbled on this and that expression but recording no10 you used them without even thinking about them. It’s gratifying and makes you want to move on. And because it’s like a rehearsal in a quiet studio, it gives you the time to practice and repeat words, expressions and pronunciation you want to get right in an actual discussion. You might be asking: What should I talk about? Well, think of this: What do you want to talk about? How can you find the right vocabulary around that topic? Is there a question you‘d like to answer or even a topic for discussion you’d like to analyze a bit? A mistake I made with my recordings - and I don’t want you to make too - was that I just started talking about whatever came to my mind, without a plan. Although this might be okay for some learners, for me it wasn’t motivating. Choosing one thing or topic helps you stay focused, make more efficient connections between the new or revised words & their meaning and reduces the overwhelm of trying to include everything in one sitting. Imagine if I were downtown, looking for the aforementioned little coffee shop. Would I expect to find the secret beach with the emerald waters? Of course not. Even hidden gems have their limitations. But it’s easy to get excited and say “Oh, recordings! Great idea. Yes, I’ll do this!” and then imagine yourself talking and talking only to find out later that you can barely speak on the recorder for one minute. One minute is surprisingly a lot, by the way. Instagram videos, for example, are one minute long, yet they fit in so much information. Start with small steps. Talk about one specific topic or question. Use a certain number of words or expressions. Take advantage of the time you have in front of the recorder to say what you want to say without interruptions and with no one listening. Now, I’m one of those people who usually panic behind the mic or the camera. It’s just what happens, even when no one’s listening! What I realized however is that the voice that terrifies me the most, is the voice of my perfectionism. Recordings are meant to be liberating. But when this little voice creeps in, we freeze and then start the negative self-talk. If you find yourself in a vicious cycle of hitting play - stop - delete, be brave and push a bit more. It’s the point where you need to allow yourself accept your mistakes and embrace your imperfections. And when this happens just between you and the recorder, you know you’re a step closer to your hidden gem of speaking in real-life situations. So go ahead and record yourself today. Sign up for my Free Email Course. You’ll use bite-sized tasks to complete your own speaking project + you’ll be able to receive free feedback from me! Book your spot to Greek Recorder: This is a short but mighty speaking & feedback service to help you talk about a topic you’re interested in. You use supporting vocabulary, weekly recordings and meaningful feedback from me. Choose between 1-Week option or 3-Weeks option (with the option to renew). Curious to see how it works? Read more here. Language learning can be full of surprises. One day you learn this verb and its meaning. You fill out a grammar activity or two and life’s good. The next day you see the same word in a completely different context. Hmmm. And then the following day you hear a native speaker use it in a completely different way. “Wait a minute. What’s going on.” you’re thinking. "How many "faces" can a word possibly have?" It’s been too many times I’ve wondered the same for English. But instead of experiencing my “trial end error”, let me save you some time and clear things up. Let me introduce you to the “multifaceted” verb γίνομαι. Okay, enough with the grammar romance (and the silliness). Off to some serious stuff. Let’s see how to 1. conjugate γίνομαι and then 2. how to use it. By the end of today’s vocabulary notes, you’ll be able to use it in 9 different ways and 18 different sentences. Ask this question for “How are you doing?” - even if it literally means “What do you become?” Notice how we use here the 2nd person (εσύ ) γίνεσαι. This is one of the most common ways to ask instead of “Τι κάνεις;” - it also adds some familiarity. Here is another version of this question. I mentioned here the 3rd singular person. Here’s the “twist”: In Greek, this might be also used as a “what’s happening” kind of question. To sum up, so far the verb is used to ask questions about someone’s news, life, etc. but also to find out what’s going on. Are you surprised? Colloquial Greek can accept the simple past έγινε to ask about someone’s life, news etc. even though Anna simply asked about Kostas’ current news. Tip: With the addition of the quirky little word “ρε”, you can address a close friend “Τι έγινε, ρε; Όλα καλά;” Careful though, as “ρε” can be perceived as impolite if said to a person you don’t know or don’t know that well or if said with a non friendly tone. Now how about the 2nd meaning of “what’s happening” - or in simple past “what happened”? Have you heard of it in an answer before? In this case, the simple past means “say it’s done!”. As in the English sentence here, the simple past is used to refer to a future action, soon to be completed. To stress out the speed and readiness, the person here replies with Έγινε! (literally: it became) which can be translated as “done”. Θα γίνει φωτογράφος. Γίνε μέλος, τώρα! It seems strange we had to get to number 5 to see the verb’s first meaning. But here it is. When I was a child, one of the most common questions was: Τι θέλεις να γίνεις όταν μεγαλώσεις; (What do you want to become when you grow up?). Never mind how bizarre now this sounds to me as a question to a 4 year old. The meaning of να γίνεις here shows the potential, the change to something different or new. It’s maybe this use of the verb that is mostly confusing as it takes the place of είμαι - to be. Είμαι though is more static and compared to γίνομαι, since it highlights the state someone’s in, not the process or progress. This is a common expression to say “no big deal”. Again the use is closer to “happen” rather than to “become”. Add some colour in your sentence and squeeze this expression in! Sometimes, γίνεται in a sentence as an impersonal verb is about something that can be done, can happen or in the English metaphorical sense of “work/doesn’t work”. Προσπαθώ να ανοίξω τον υπολογιστή αλλά δεν γίνεται τίποτα. (I try to turn on the computer but nothing works/happens). If this sounds a bit confusing, stick to using γίνεται / δεν γίνεται to say “this can be done/ can’t be done”. Gradually, and as you listen to how native speakers use it, you’ll get a good grasp of its meaning and way of use. Έγινε το φαγητό; Δεν έχουν γίνει ακόμα τα καρπούζια. Believe it or not, we also use it a lot with food words, to describe something is done or made or ready / ripened. In all the examples, the meaning of something “ready to be eaten” (or not!) is what helps you remember the use of γίνεται here. What do you say when you meet someone you know? How do you say “done!” ? The food is almost ready. What do you ask? Traffic in Athens is terrible today. What do you say? Reply in the comments below and I’ll get back to you with my feedback. Eager to learn some more? Join here our small and friendly Facebook community for Greek language enthusiasts! As the year slips away, I thought to share with you the 5 most loved articles from the blog - along with a huge thanks to you, dear reader! Are you in love with the Greek language? Are you dreaming of speaking her melodic sounds, moving past your overwhelm and struggles? Grab your tea or Greek coffee and let me show you. This is by far the most frequent question I get from Greek learners. Visiting or even staying in Greece is usually thought to be the most effective way. This is not always true though. Even if you do live in the country or spend a good amount of your time there, this doesn't necessarily mean you'll automatically learn the language. In fact, I don't believe in automatic language learning, when your dream is to communicate with real people. Which means that while simply promising you the "magic" recipe to “The Best Way to Learn” would’ve been easy and would’ve made me look cool, I’m not gonna do that. Instead, let's try something different. I want you to imagine you’re learning something new - such as how to create a tangible and easy to understand with your senses object. For example, making birthday cakes. What’s the first thing that comes to your mind? A vision of your ideal birthday cake, right? For some, this translates to a chocolate fudge while for others it’s a gluten-free cream cake. Naming your goal is the very first step you need to do before you start learning something. When it comes to a cake, it can be your special flavour and decoration. When it comes to learning a language, it’s not at all obvious. Is it to speak with your Greek friends via Skype and social media? Is it maybe to live on a Greek island? Is it to visit Greece in the summer and be able to hold an everyday conversation with your in-laws? Don’t be tempted to write more than 2 or 3 things. Too much is equal to getting stuck. Have you written your goal down already? Okay, now let’s go back to our birthday cake (our tangible example). What’s the next thing you need to do? Gather your "ingredients" and "baking tools" of course. Be careful on that one. I don’t know about you, but I’m a recovering book and material hoarder. The same with language learning materials. Textbooks, course books, Grammar books, notes, posters - not to mention the paperless online materials. Apps, videos, emails, infographics, social media groups - oh boy. Let me explain. I’m not saying any of the materials above is bad or wrong. When we learn languages, we do need to think about our “ingredients and baking tools” same as when we’re making a cake; we can’t use anything and everything. Don’t be tempted to add too many on your plate and learn from every source possible. Stick to the materials and resources that resonate with you and choose them wisely according to your current goal(s) and learning preferences. You love images? Learn with posters, images, infographics. You love audios or need to practice more listening? Stick to audios, music, the radio. You get the picture. By making the right list of your “ingredients and baking tools” you’re creating your "recipe" and this way your recipe is not going to fail. All of this is wonderful and all, but you want to know how to minimize overwhelm and “put your ducks in a row”. Hey, I’m a learner of languages myself, I get you. Let’s see now how to approach your materials and - hint for today’s question - find your own best way to learn Greek, shall we? Maria has a list of resources - from videos to audio, radio stations to Pinterest, free online lessons to Grammar books, activities, even apps. Maria has written down: “My goal is to speak with my Greek friends during my summer vacation. Also, to catch up with their news online (via emails, social media) when I’m back home”. See now how having a goal comes in handy? Sometimes, starting a new language reminds me of expecting a baby. I mean, really! You’re all excited, getting all the cute stuff, not knowing what you’re going to use - but who blames you, you might actually need them. Because I’ve been there with stuff (language and baby stuff), I’m now trying to minimize. Too many choices equal to too many distractions. Back to Maria, she can only achieve her goal by choosing what she’s actually going to use, having in mind the time she has available after work and her current level in Greek. These are my favourite and most used materials. Some I use in my classes , some I recommend to learners. Take into account your own learning style. As much as I love some of them, you might find that they're not your dream materials. A simple rule of thumb: study with the ones you absolutely love. Are you looking for a good, tried & true Greek Grammar book? Greek is a unique language (literally! 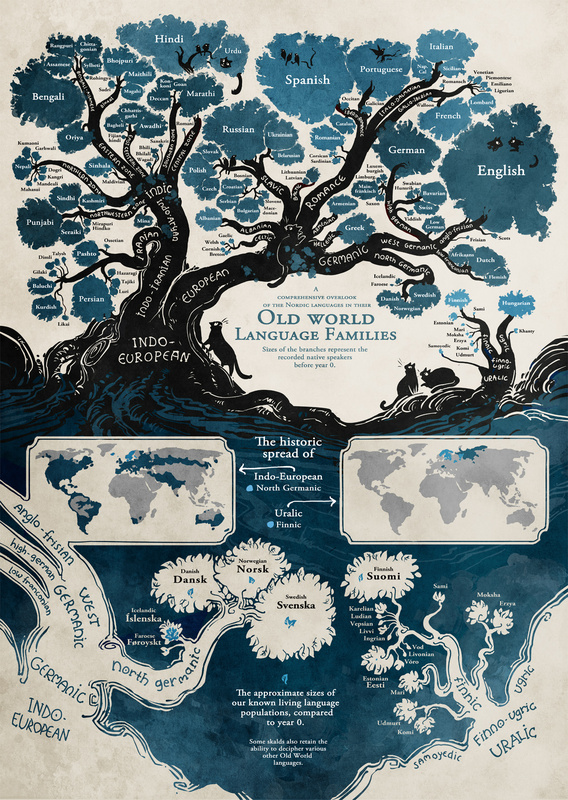 Check this interesting info by Ethnologue here and a beautiful language map here). So, yes, you’re going to have a lot of Grammar questions. Choosing the one book which is right for you is essential. Greek: An Essential Grammar (Routledge Essential Grammars) was written with English speakers in mind. You can find it in both languages, English and Greek and it’s simply wonderful; thorough and to the point. Concise Modern Greek Grammar is the most used Greek Grammar book, written by linguist Manolis Triandaphyllidis, which also comes in 14 translations. Αυτό ακριβώς! This is an amazing Grammar book with tons of exercises and Grammar tables - for Intermediate learners only. It is mainly meant for practicing. Of course, your choice depends on what your first language is. For the sake of simplicity, here I'll recommend this Greek to English dictionary which I've been using for years. However, I do recommend adding a Greek to Greek dictionary as well. For this, Λεξικό της Νέας Ελληνικής Γλώσσας is a great option. An online, free option is the Dictionary of Standard Modern Greek. The advantage of having a Greek to Greek dictionary is the extra valuable information about the words' etymology, idioms and expressions. Does homework remind you of endless boring school activities? But to connect your goals to your practice, studying and revising are a foolproof way to keep learning. #1 Ελληνικά Α’ (Beginners) and Ελληνικά Β' (Intermediate) course books with CDs. Why: They are up to date, nicely presented. Lots of vocabulary and everyday expressions about living and working in Greece. And with great illustration. #2 Ελληνικά τώρα 1+1 (Beginners) and Ελληνικά Τώρα 2+2 (Intermediate) course books with CDs. Why: These are the classic books so many Greek learners have used since the 80s when they were published. Quite outdated vocabulary and cultural references, but very good grammar practice. Tailored to the needs of learners who visit Greece every summer. #3 Επικοινωνήστε ελληνικά 1 (Beginners) and Επικοινωνήστε ελληνικά 2 (Intermediate), exercises books and CDs. Why: I think I love more the exercises books than the course books. Such a great variety of exercises. But it still is a classic course book. Again, this is more tailored to the needs of tourists or regular visitors. #4 Ταξίδι στην Ελλάδα 1 (Beginners) and Ταξίδι στην Ελλάδα 2 (Intermediate) course & exercises books with CDs. Why: I love their texts’ collection, Grammar tables and wonderful Grammar explanations. The exercises are a bit uninspired, but still good. Apps: Apps are not favoured by everyone. But I learned to love them! In fact, I’ve written a whole post which you can check here: 3 Best Apps I recommend to learn Greek for free. Social media: Not everyone’s cup of tea. But if it is yours, choose again what suits you best. Get a bite-sized post with a Greek word, information about the language & the culture, even a Grammar explanation. Practice a bit or ask away. Why not? Are you up to more chatting with some friendly & super motivated Greek learners? Join our Express Your Greek facebook group here. Music: Again, if you don’t really listen to music or if you don’t even like Greek music, then no need to use it. But in case you do, then add your song here and find the Greek songs’ lyrics in Greek or even sometimes translated by members of the page. For Intermediate learners, this book Λίγα Τραγούδια θα σου πω can also be found here to download and practice Greek with songs. Daily emails/reminders/videos: These are offered by Apps; also by most companies that offer language lessons, such as the well known GreekPod101 by Innovative. To be honest, I personally feel pressured with “daily” forever reminders! But if you do open these emails and you like having a little nudge to learn some Greek in your day, then go for it. You’ve heard about an amazing webpage which is “old but still good”, you’ve been told to read a children's story and you ‘ve come across the 100th video presenting the Greek alphabet. While the following list might seem unconventional (and it is), choosing and planning your learning always comes with things you need to let go. Outdated material: yes, you’ve been told it’s “old but amazing”. In some rare cases, it can be true if there are other advantages (see the part about the one outdated course book I still use + why, above!). However, unless you’re interested in talking about drachmas in your vintage coin collection, skip any "old but amazing". Videos about the alphabet: You're probably past the alphabet, but I need to say this: Don’t expect to learn reading and pronunciation from them. Why? Because every Greek letter has a name which does not correspond to they way we read. While alphabet videos are fun, learning the letters’ names doesn’t add much to your learning. Yes, you might learn how to ask about your spelling, but they can’t teach you Greek pronunciation. Greek pronunciation is not too complicated but it involves a greater depth and focus than a “learn to read in Greek now” kind of video. Disclaimer: I am not aware of any such a title, I’m just giving you an example. Invest in time, by practicing more with your chosen, good quality resources or invest in a qualified teacher or class where you can get all the help you need with pronouncing the Greek sounds. Kids’ books: I’ve been told to practice English with kids’ books. And while the language might be simple, do you really want to know about fairies, the big bad wolf or the playground? Unless it’s a fun, engaging children’s literature book, I don’t recommend every kids' story just because it’s in “easy” Greek. Which, by the way, is a misconception. I would much more likely recommend children’s books to Advanced learners, because of the natural language these stories are written in. This is kind of obvious, but if you’re not comfortable with Greek reading, your pronunciation is as well compromised. Practice reading out loud, repeat after your teacher or after the audio you’re using. See below for more ideas. In Greek only. If I could write this in big, red, flashing letters, I would. Writing in the Latin alphabet (the one I’m using now) or any other script will only keep you far away from matching the sounds to the image e.g. [a] → α (the letters). Make it a habit to write in Greek and don’t care about making spelling mistakes -at all! It’s much more important to learn the language as a whole than getting stuck to spelling. Part of learning Greek is its different but beautiful alphabet; embrace it. How about a podcast, like this one by Language Transfer which is free and fun. I've also used Soundcloud for some of my blog posts. You can find my tracks here. Any Greek series, shows, songs, news broadcast, the weather, anything, really! Don’t be afraid to get exposed to some real, fast, natural Greek. You’ll be amazed by the words you’ll start noticing. A tip: have a goal to understand a number X of words. By focusing on something such as a number of words or expressions or even words starting with a specific letter, you practice without getting overwhelmed. You also avoid passive listening, which, to be honest, doesn't seem to be making any difference in language learning. Unless you need Greek to translate books and never utter a word, chances are you’re learning Greek to communicate in Greek. So start speaking now. Record yourself on your phone doing so. Practice this vocabulary of yours. Best is everyday, but if time is really an issue, practice at least once per week. You can do this. You’ll be really, really amazed by your progress. Almost there now. You have your goal(s) written, your tools and materials in order plus plenty of ideas about what and how to use them… what’s next? Is this the best way to learn Greek? Like I said, I’m not going to fool you with promises and "easy and fun" learning hacks. The puzzle is complete only with your own, personal effort. You’ve already put effort in all of the steps above (and in reading this huge post) now the real work begins, starting from your way of learning. "Way" means it's a process, a path you need to walk; "the best way" is here for you to plan and follow. So after you thoughtfully selected the why, when, what and how to learn and practice, now is time to do it. There may be times you’ll wonder why you chose this language. If it will ever pay off. If you’re ever going to learn it. If you go back to where you started on Day 1 and look at your notes, listen to your recordings, read your first paragraphs, you’ll see how far you’ve come. Trust yourself. I know you can do this. Disclaimer: Some of the links in this article are affiliate links, which means you'll be supporting Alpha Beta Greek at no extra cost to yourself if you buy through the link. I only recommend books and resources of high quality that I trust and love to use myself. Eager to chat more in Greek with like-minded peers? Join here our small and friendly Facebook community, just for Greek language enthusiasts.